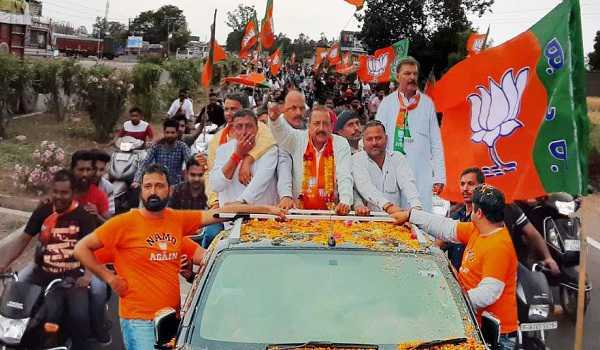 Jammu, Apr 17: The campaigning for Udhampur-Kathua Parliamentary constituency ended on Tuesday, while 14 candidates including heavyweight MoS PMO Dr Jitendra Singh are among in fray. The polling will take place on April 18. Besides, Dr Singh, Congress candidate Vikramaditya Singh, son of Dr Karan Singh and grandson of last Dogra Ruler Maharaja Hari Singh, is also in the race. Ousted from BJP, Choudhary Lal Singh, the former minister, is also contesting from this bastion. Mr Singh is also contesting on Jammu-Poonch Lok Sabha Parliamentary Constituency while Tilak Raj Bhagat of Bhujan Samaj Party, Harsh Dev Singh of JKNPP, Lal Singh of Dogra Swabhiman Sangathan, Mohammad Ayub of Navrang Congress Party, Meenakshi of Shiv Sena and Bansi Lal, Prem Nath, Rakesh Mudgal, Shaber Ahmad, Garib Singh, Firdous Ahmed, Martand Singh all independents are also among in the race. The voting hours have been fixed from 0700 hours to 1800 hours. However over16.85 lakh electors will exercise their right to vote in Udhampur-Kathua Parliamentary Constituency. 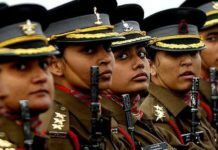 Chief Electoral Officer, J&K, spokesman said that the PC has 16,85,779 registered voters, including 876,319 males, 789,105 females, 20,312 service voters (20,052 males and 260 females) and 43 transgender electors. In the Parliamentary Constituency, the highest number of electors is registered in Kathua Assembly segment of Kathua district with 129,578 electors including 67,382 males, 59,409 females, 2,785 service voters (2,728 males and 57 females) and two transgender voters. The ECI has setup 173 polling stations across this segment. 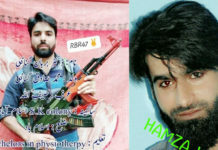 Meanwhile security agencies also reviewed the security scenario in the Kishtwar district, falling into the Constituency in view of RSS leader killing last Tuesday and his PSO by the terrorists. Presently MoS PMO Dr Jitendra Singh is the sitting MP from this Constituency.